OFWs, contrary to the common notions, are not rich and they do not have a lot of money. Some OFWs even return home broke after several years of working overseas. Financial literacy seminar and entrepreneurship trainings are being conducted for the OFWs to be aware of their financial status and to do something to improve their lives by means of generating other sources of income aside from the salary they are getting from the job they currently have while working abroad. Some OFWs plan of putting up a business or venture out in investment opportunities like real estate, stocks, and any other possible means to get them ready for their return in the Philippines for good. But what if you already have a business in mind but your money is not yet enough? That's where loan companies can help. 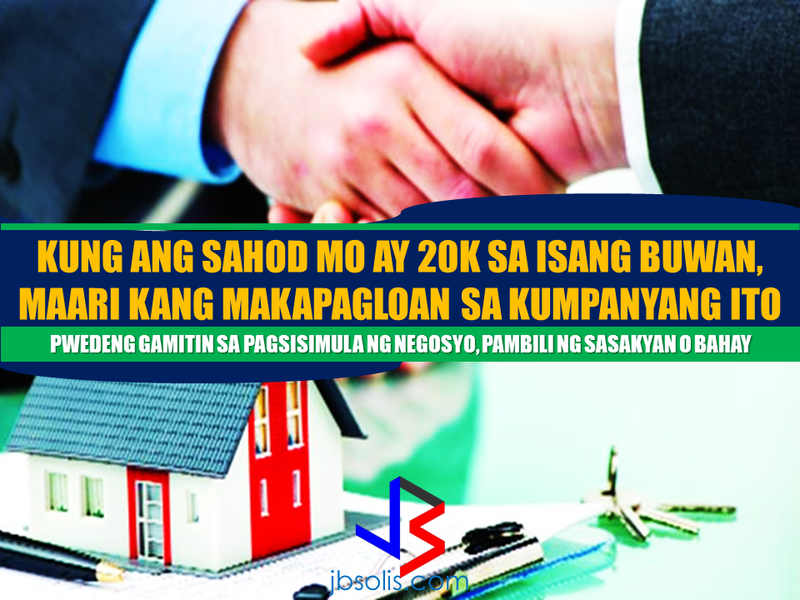 There are many lending companies that offer loans for OFWs like Asialink Finance Corporation and many others. For their OFW loan, they offer up to P300,000 if you have a basic salary of P20k and above. -Proof of Residency is required. If the proof of billing is not under your name, you can submit NBI/Police or Brgy. Clearance as alternative documents. For OFWs that are currently on vacation in the Philippines and you want to apply for a loan, they will ask you to provide you latest 2 months pay slip and COE for those OFWs that will return to the same employer or company abroad. Note: For loans amounting to above P150,000, two co-borrowers are needed, one of whom should have a stable income. THIS SITE IS NOT IN ANYWAY CONNECTED OR AFFILIATED IN ANY LENDING OR FINANCING COMPANIES. We are only providing the OFWs informations that might help them in the future. We advise the OFW to transact only with financial companies or institutions that operates within legal procedures and existing rules and regulations.